Ref: AP105 The DC3 has earned the epithet Workhorse of the Skies. 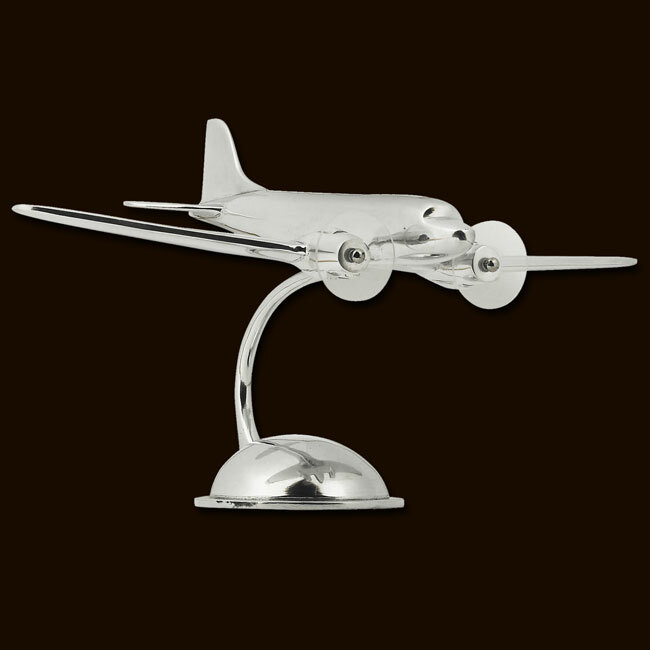 Thousands were produced from the end of WWII into the 1950s by the Douglas Aircraft works. Military, civilian, government, private, you name it. Utterly reliable. Even now its possible to find them flying from remote airports, landing on the tightest strips. Legendary and nostalgic. Aluminum, riveted propellers, noisy, but also safe and familiar.